Before making the decision to improve your home, it’s likely to be something that you’re going to think deeply about. This is because it often requires you to invest a significant amount of money depending on the nature of your home improvements. 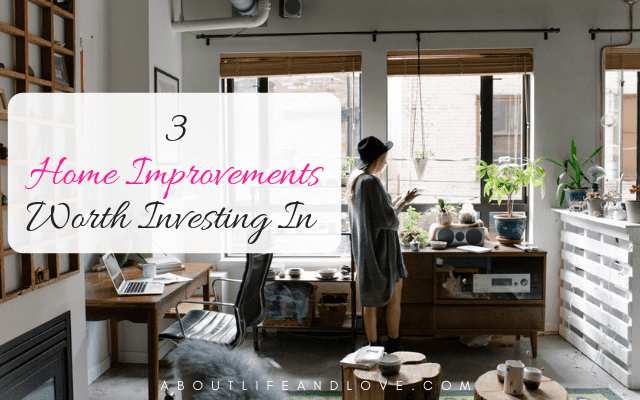 However, it should bring you comfort to know that some improvements are better investments than others as they can help add value to your home or save you money in the long term. You may be thinking that your home needs a bit of a change, and exploring different improvements that you can make. If this is the case, you should continue reading as you’ll find three home improvements worth investing in below. One of the first improvements worth investing in is outdoor furniture. If you’re lucky enough to have a fair amount of outdoor space at home, then you should definitely try and utilize it. One of the ways to do so is by making the outside of your home comfortable. You can do this by adding outdoor furnitures such as chairs, tables, and even an outdoor kitchen in case you want to have dinner parties or BBQs. In terms of the latter, perhaps consider stainless steel outdoor kitchen cabinets as they should be resilient to the weather. You should also think about outdoor art to give it a special touch. Another home improvement to consider making is in the area of energy conservation. There are several potential ones that you can carry out such as getting an energy-efficient water heater, for instance. This could help you save money on operating costs which could prove to be a noticeable amount. In addition to this, perhaps think about ground-mounted solar panels if you happen to have land that isn’t being utilized. 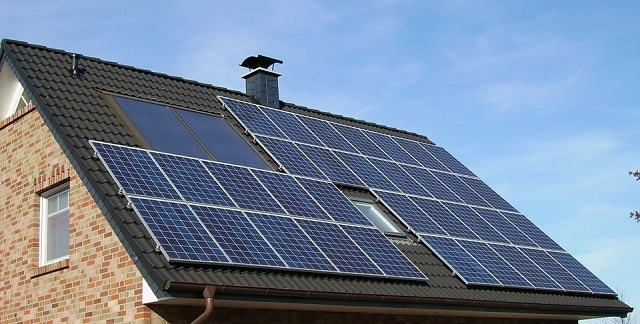 Solar power as you may already know is proving to be an efficient as well as a more sustainable way of producing electricity as well as heating. Although the initial cost may be expensive, it’s possible that you’ll find that you’ll save more in the long-term. When looking to make home improvements, you should think about getting real-wood floors. Perhaps avoid laminated floors as that won’t add as much value. You could consider looking at liquidation centers or salvage yards when installing real hardwood floors. If you happen to be on a budget, think about oakwood floors as well as dressing it up with a different stain. You should also know that in terms of installation, methods differ depending on the width, thickness, as well as the construction of the hardwood product, and where it's being installed. Ultimately, real hardwood floors should help improve your home’s value which should be your primary conquest. Improving your home is a way to make your house more comfortable as well as give you a deeper sense of satisfaction. However, depending on the improvements you decide to make, it can be relatively pricey. You should know, however, that as mentioned above there are some improvements that are more worthwhile than others. On that note, hopefully, you consider some of the improvements mentioned above. Thank you for these amazing ideas. I always love to invest in home improvement ideas. The ideas mentioned here are surely worth investing. While checking on the internet, I found about the Home Quality Remodeling team. I am planning to hire interior painting San Jose team for interior painting. Once the painting is done, I will invest in other home improvement.